In classical Greek architecture, a stylobate (Greek : στυλοβάτης) is the top step of the crepidoma, the stepped platform upon which colonnades of temple columns are placed (it is the floor of the temple). The platform was built on a leveling course that flattened out the ground immediately beneath the temple. The Parthenon is a former temple on the Athenian Acropolis, Greece, dedicated to the goddess Athena, whom the people of Athens considered their patron. 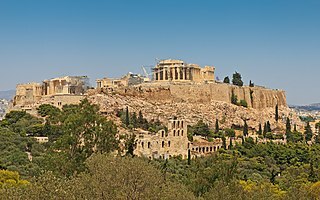 Construction began in 447 BC when the Athenian Empire was at the peak of its power. 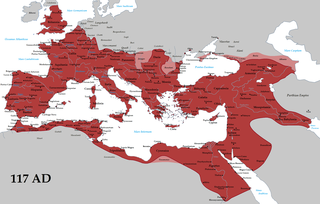 It was completed in 438 BC, although decoration of the building continued until 432 BC. 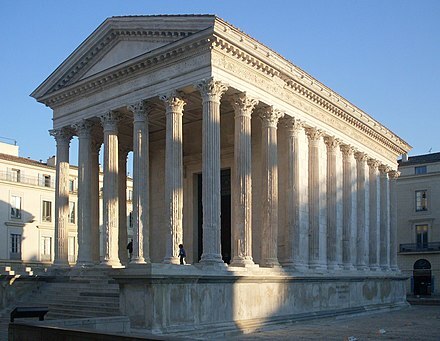 It is the most important surviving building of Classical Greece, generally considered the zenith of the Doric order. 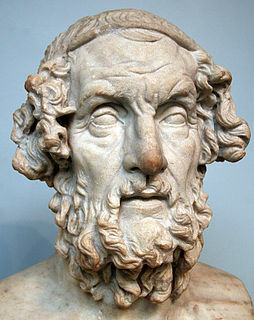 Its decorative sculptures are considered some of the high points of Greek art. The Parthenon is regarded as an enduring symbol of Ancient Greece, Athenian democracy and Western civilization, and one of the world's greatest cultural monuments. To the Athenians who built it, the Parthenon and other Periclean monuments of the Acropolis were seen fundamentally as a celebration of Hellenic victory over the Persian invaders and as a thanksgiving to the gods for that victory. As of 2007 the Greek Ministry of Culture was carrying out a programme of selective restoration and reconstruction to ensure the stability of the partially ruined structure. Scamilli impares, in architecture, is a term quoted by Vitruvius when referring to the rise given to the stylobate in the centre of the front and sides of a Greek temple. The Temple of Olympian Zeus in Agrigento, Sicily was the largest Doric temple ever constructed, although it was never completed and now lies in ruins. It stands in the Valle dei Templi with a number of other major Greek temples. The Valle dei Templi is an archaeological site in Agrigento, Sicily. It is one of the most outstanding examples of Greater Greece art and architecture, and is one of the main attractions of Sicily as well as a national monument of Italy. The area was included in the UNESCO World Heritage Site list in 1997. Much of the excavation and restoration of the temples was due to the efforts of archaeologist Domenico Antonio Lo Faso Pietrasanta (1783–1863), who was the Duke of Serradifalco from 1809 through 1812. The Archaeological and Landscape Park of the Valley of the Temples is the largest archaeological site in the world with 1,300 hectares. The Temple of Hera Lacinia, or Juno Lacinia, otherwise known as Temple D, is a Greek temple in the Valle dei Templi, a section of the ancient city of Agrigentum in Sicily. The Temple of Apollo is one of the most important ancient Greek monuments on Ortygia, in front of the Piazza Pancali in Syracuse, Sicily, Italy.